Years ago, mobile phones were difficult to use with hearing aids - but not anymore! New technology has opened up options in the mobile phone market for people with hearing aids, and they have all the features you need to make the mobile phone work for you. If you wear hearing aids, you know that mobile phones used to be problematic. The speech coming through the phone wasn’t loud enough, or interference between the phone and the hearing aid caused feedback that made it hard to hear. But with almost 50 million Americans living with hearing loss, the mobile phone industry has stepped up its game, making mobile phones much more user friendly for people with hearing aids. Most major mobile phone manufacturers have developed special accessories to make mobile phones easier to use with hearing aids. Neck loops or ear hooks now come with microphones included. They plug right into your mobile phone for easy use. People using in-the-ear hearing aids can now find ear buds that have both an amplifier and a microphone. The ear buds connect to directly to your mobile phone and give you good quality sound at the right volume. Many new mobile phones use wireless (Bluetooth) technology that connects directly to your hearing aids. And there are now applications on your mobile phone that will allow you to adjust the settings on your hearing aid right from your phone. All mobile phones come with microphone and telecoil ratings. Look for a mobile phone that has a rating of M3 or M4 for the microphone, and a T3 or T4 rating for the telecoil – these work best with hearing aids and cochlear implants. Having a hearing impairment is no reason to stay away from the phone. Talk to your audiologist about which mobile phones would work best for you, and visit some dealers in your areas to try the phones out for yourself. 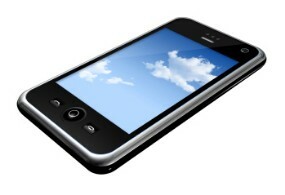 With today’s advanced technology, there is most certainly a mobile phone out there that is perfect for you.